Hi there everyone! 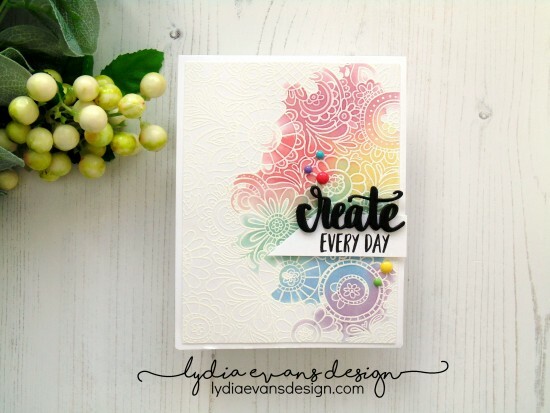 It's Lydia here and I'm so happy to be here with you on Catherine's blog. 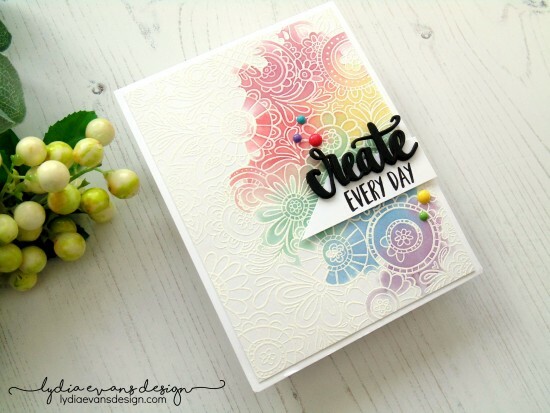 Today I have a card to share that uses one of my favourite techniques- rainbow watercolour. 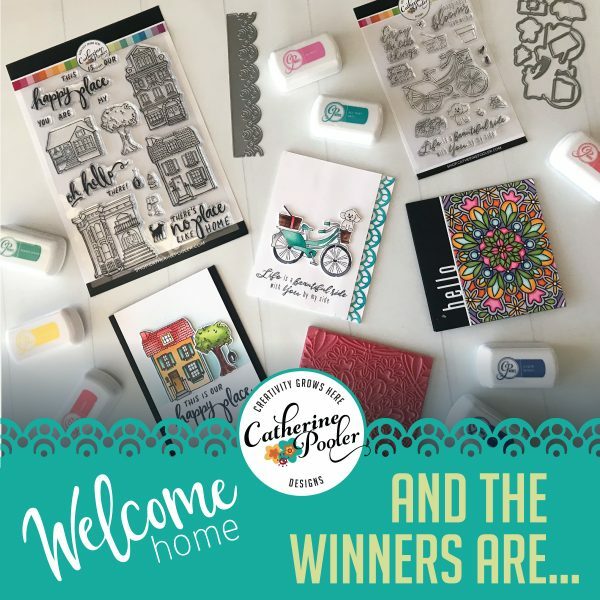 I started by stamping Doodle Garden Background Stamp onto some watercolor cardstock using embossing ink and then heat embossing with white embossing powder. I then covered this piece with clean, clear water. After the whole piece is nice a wet I dropped in colors to create the effect- for this I used Rose Petals, Polished, Shea Butter, Seafoam, Stone Blue and Sugared Lavender. I then left this to dry naturally. For the sentiment I cut Create Die twice, once from black cardstock and a second time from black foam. I layered these up with the cardstock one on top. 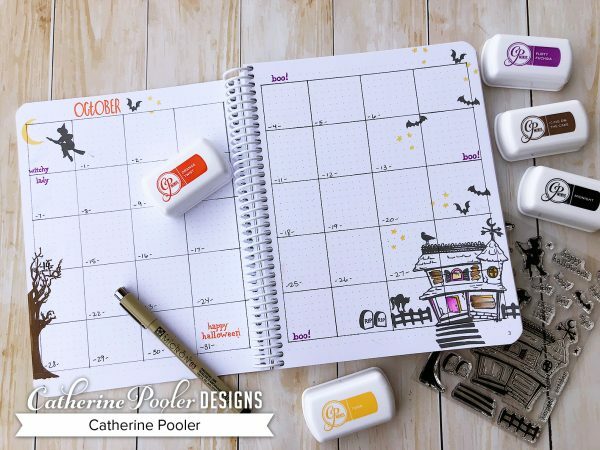 To add to this I stamped ‘everyday' from Eat Sleep Create Stamp Set onto a banner made from white cardstock. When the watercolor panel was dry I added this to a card base and adhered the sentiment into place. To finish I added a few coloured enamel dots. Thank you so much for stopping by! And I do hope you enjoyed my card. and on Wednesday, March 6 at 8 pm Eastern, we'll be LIVE from the Clubhouse on our community FB page with some of the team while we try out some of the things we learned. We hope you'll join us – set up your membership here. 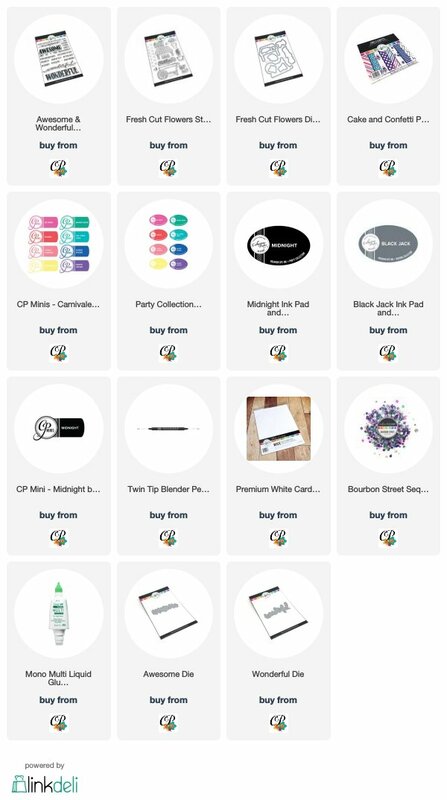 Log into StampNation and click on “Learn” to find the classroom and the “stencil pARTy” tutorials. 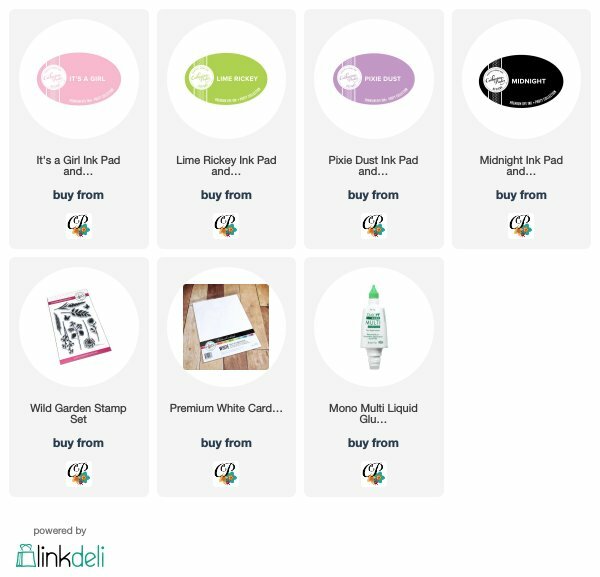 Head over to our Facebook Community to join the fun! 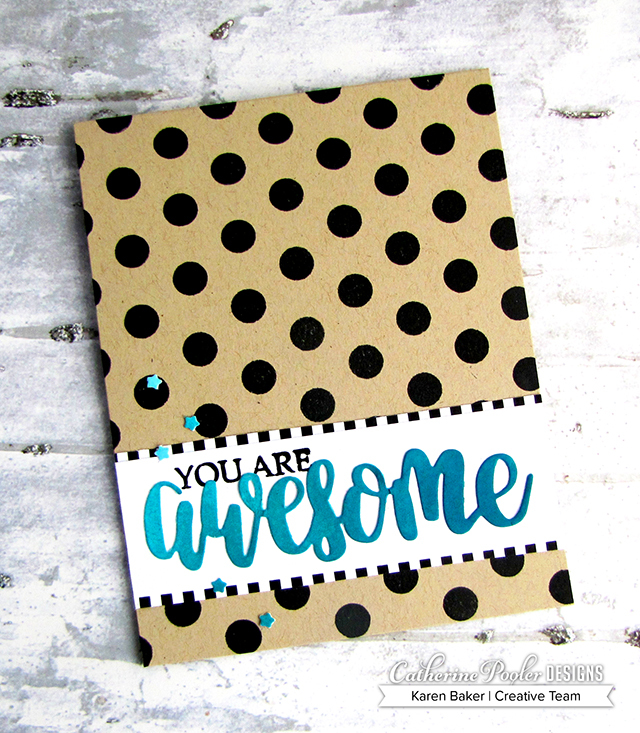 A black and white polka dot stamped background is a great start for any card! It's kinda like that little black dress. Goes with most anything and you can easily dress it up or dress it down. 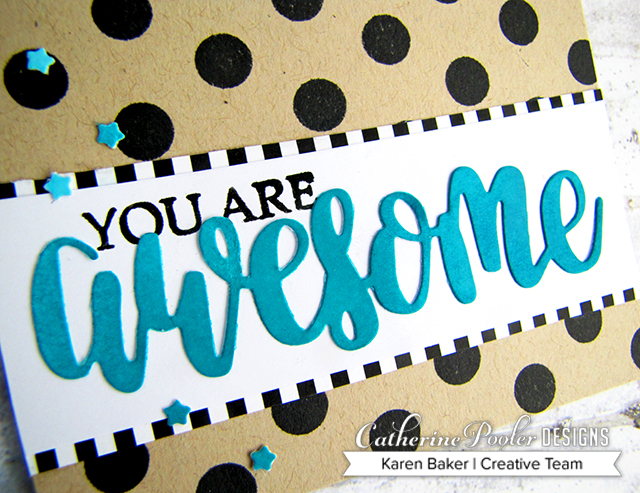 I decided to go with a simple ink blended strip with a sentiment for a Clean and Simple look that makes the CP ink shine! Lime Rickey and Flirty Fuchsia…sigh…I just adore this color combo! The Life Changing Brushes made ink blending a breeze! 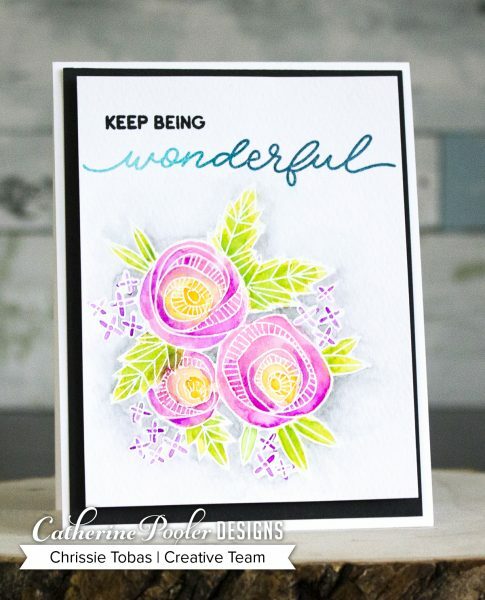 Just rub your brush on the ink pad and lightly blend it on the cardstock (as shown in the video!). 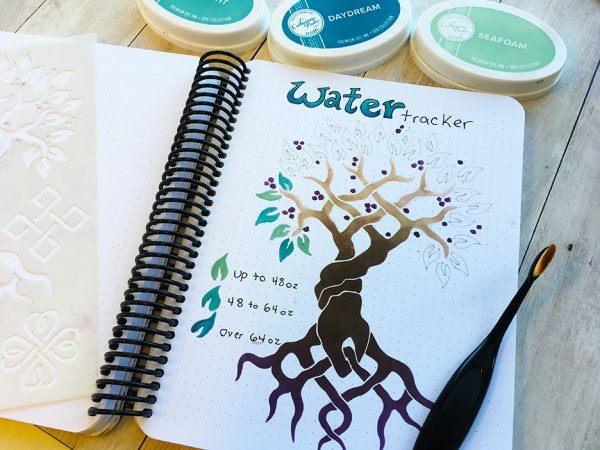 A light, patient hand results in a gorgeous ink blend. In case you missed the video with Nicole, here it is! 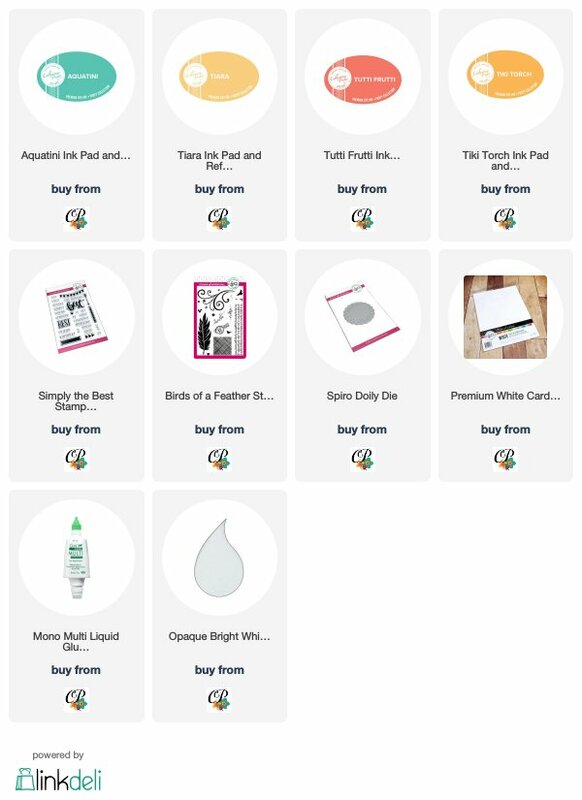 We are doing some updates to ink in our shop on Monday the 11th, so if you haven't grabbed ink yet, you'll want to! 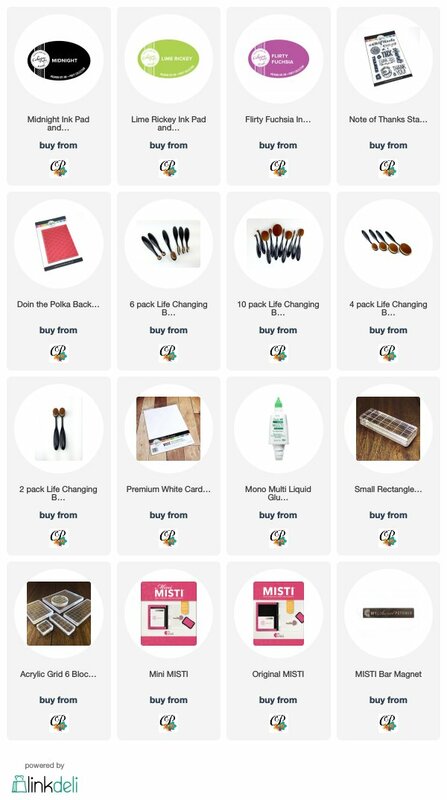 There will be a small pricing update. 🙂 See all the ink here! Hello everyone! This is Deepti Stephens and I am so happy to be here as a guest for Catherine's blog. 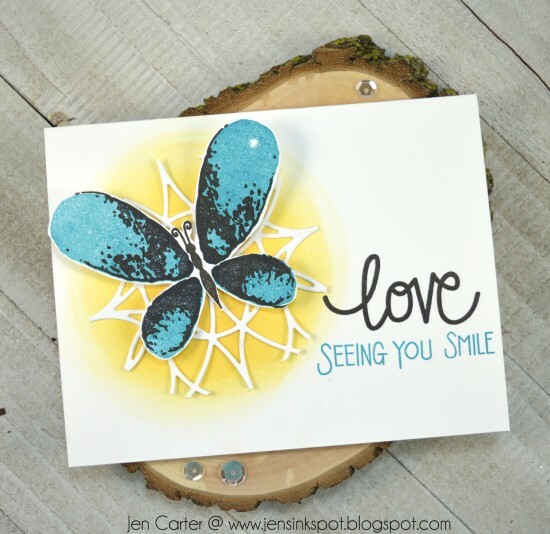 Today I have a simple water color card for you made using the stamps from Naturally Inspired SOA Collection. I started by inking up the beautiful leaf from Wild Garden in It's a Girl, Pixie Dust and Lime Rickey inks. Then I spritzed some water with a mini mister and stamped it onto the card base. 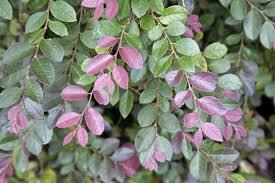 This creates a beautiful three toned water color leaf. I stamped the images with the same technique two more times forming a visual triangle. Once the card panel was dry I went ahead and added tiny splatters of black paint to enhance the beauty of the design. Once everything was dry, I stamped the sentiments from Birds of a Feather and Simply the Best stamp sets in Midnight Ink. Finally I finished the card with a few clear sequins. 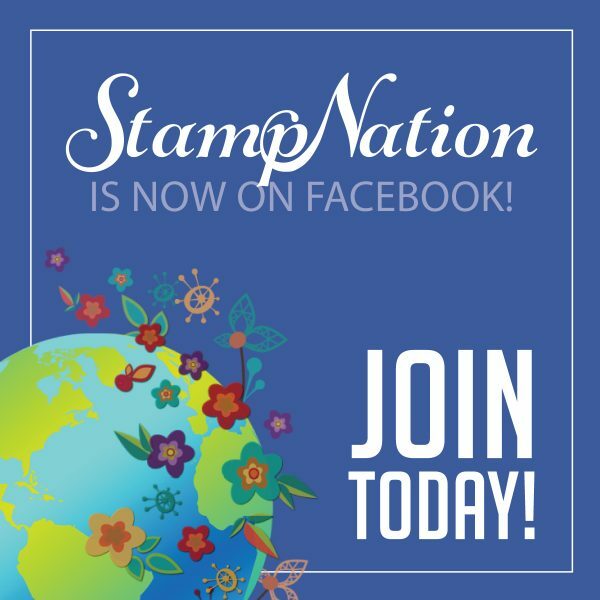 StampNation is now on Facebook! 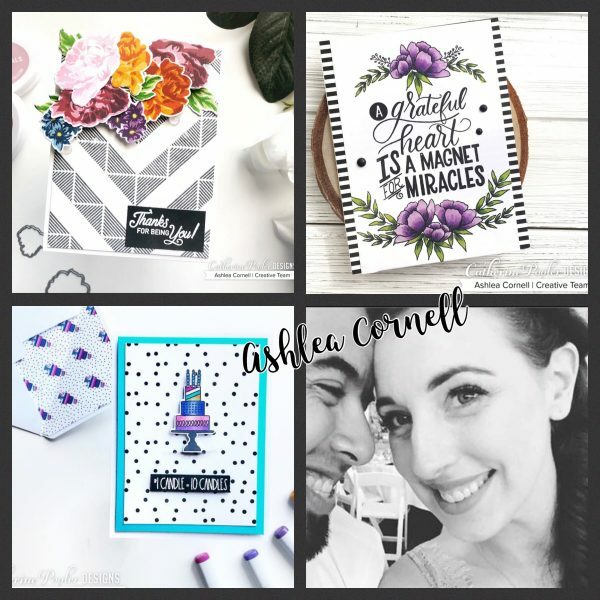 Pop in and share projects, ask questions and socialize with a community of amazing crafters that GET you! Since starting this group a couple months ago I have seen a change in my Facebook feed as I scroll through. 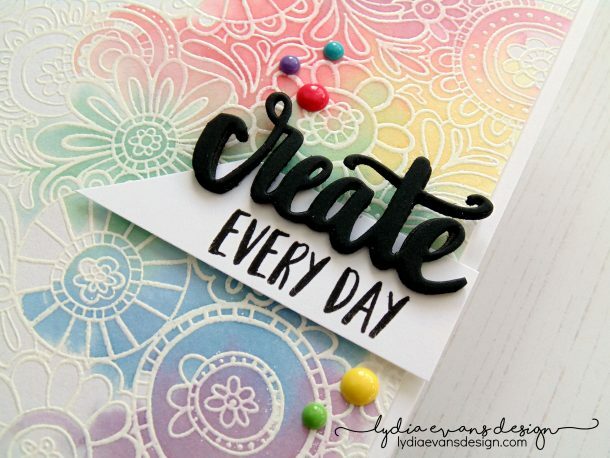 It's not full up positive, creative, fun posts from lots of crafty friends around the world. Sounds awesome? 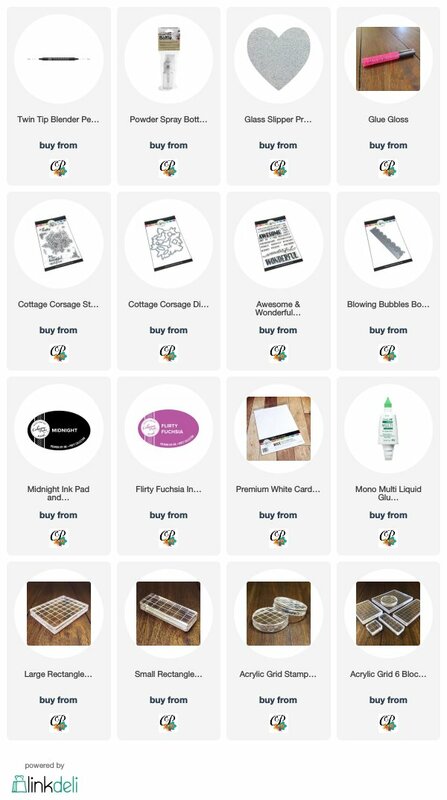 We'd love to have you as a part of our crafting journey, get started here. Then be sure to join us over on the StampNation Community Facebook page on Wednesday, March 6 at 8 pm eastern for a fun Live Stream stencil pARTy! Can't wait to see you as our newest member! Hi everyone! 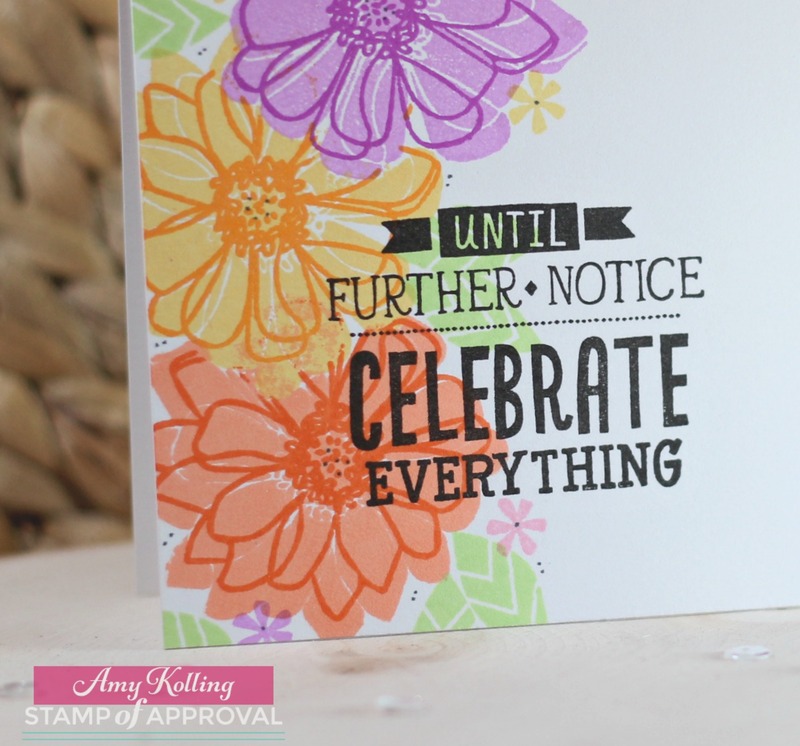 Amy Kolling here with a floral card using the Bloomin' Bouquet stamp set. This stamp set lends itself to many, many techniques but I wanted to share one using just direct stamping and simple masking. 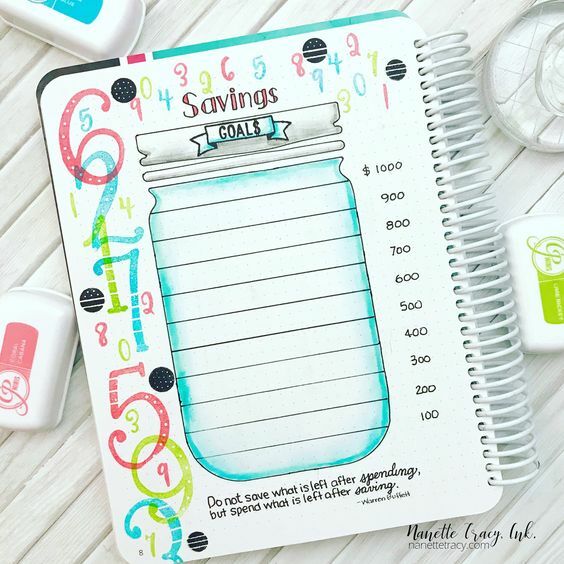 My goal was to make this is a one-layer card as well by using this technique! I started with a slightly trimmed white panel. 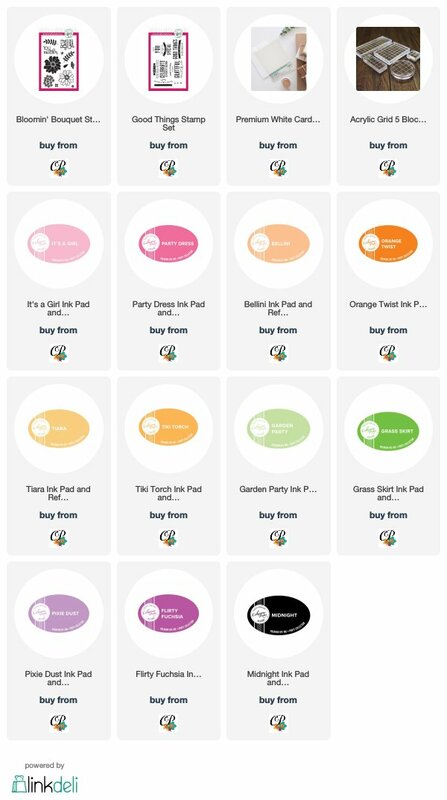 I began stamping the blooms from Bloomin' Bouquet in It's a Girl, Party Dress, Pixie Dust, Flirty Fuchsia, Tiara, Tiki Torch, Bellini, and Orange Twist. 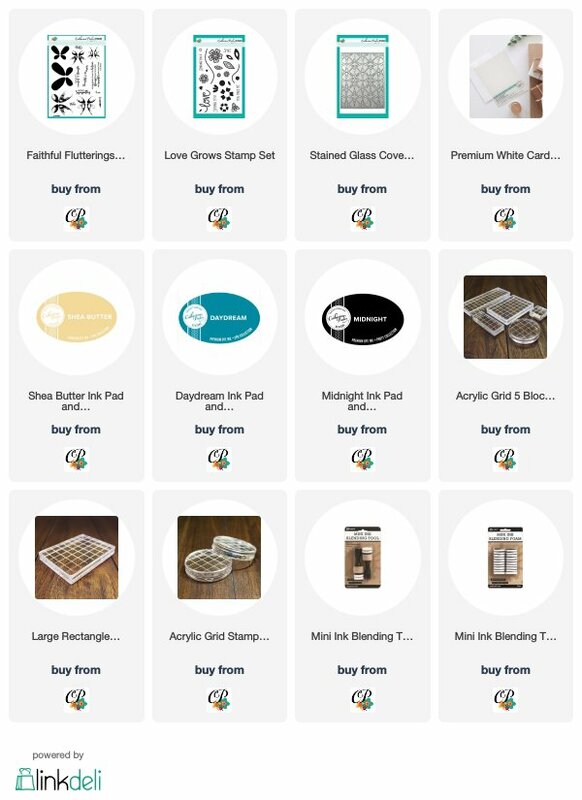 Just look at the amazing coverage these inks provide on brand new stamps! I still have a hard time believing how perfect they stamp! The leaves were added using Garden Party and Grass Skirt. All images were stamped direct to paper but I did do a small bit of masking to do the florals using some masking paper. 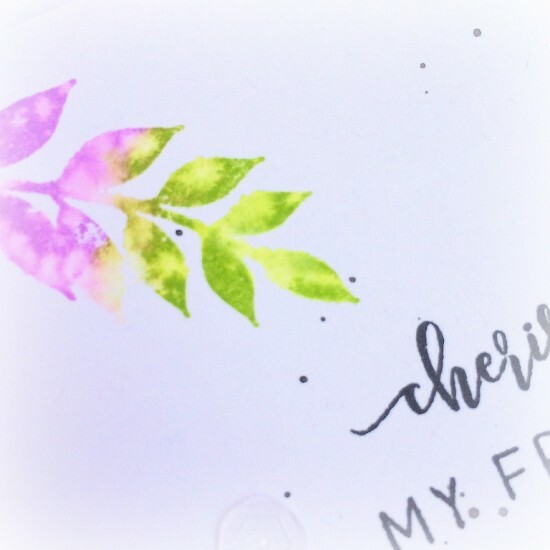 I stamped some of the smaller flowers in the same inks to compliment the bouquet. 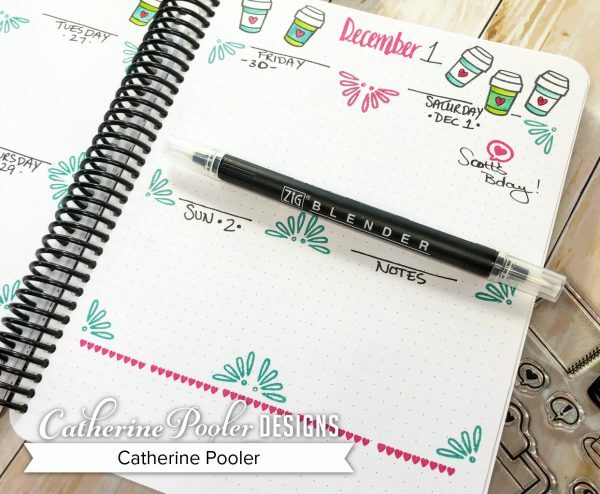 The sentiment from Good Things was stamped in Midnight ink across the flowers for a bold look. As a finishing touch, I've added random black dots with my fine tip sharpie to keep this a one layer card. Hi everyone! 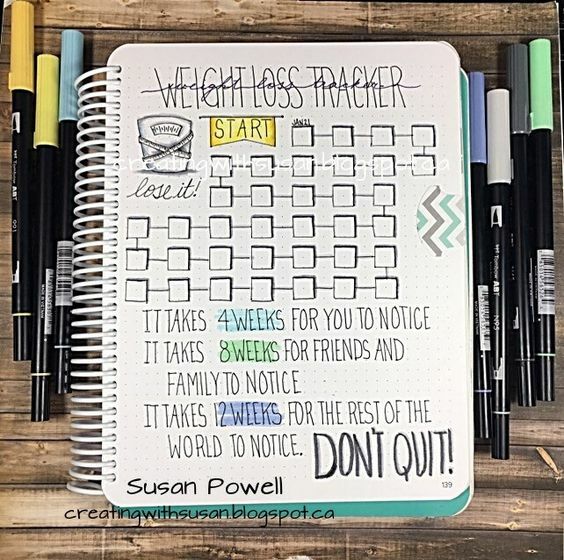 It's Kristie here with a guest post just for you! The images in the Wild Garden stamp set have my heart. 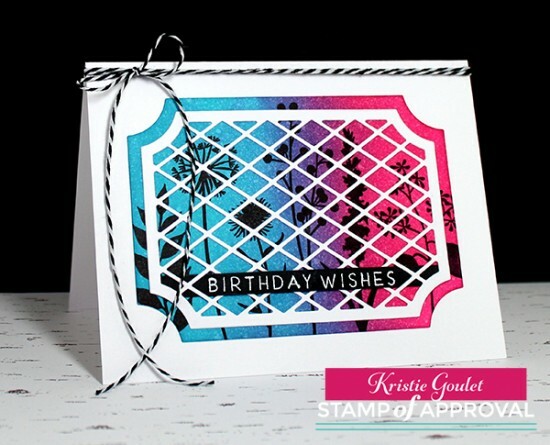 I love stamping them as silhouettes, but they look great stamped using colors that you would see out in the wild too. I die cut both pieces of the Lattice Frame die out of white card stock. I sponged Fiesta Blue and Party Dress inks onto the solid panel and spritzed with a bit of water to get the colors blending and for some cool water spots. Love the beautiful purple color you get when overlapping these colors. I then stamped some of the Wild Garden images using Midnight ink. 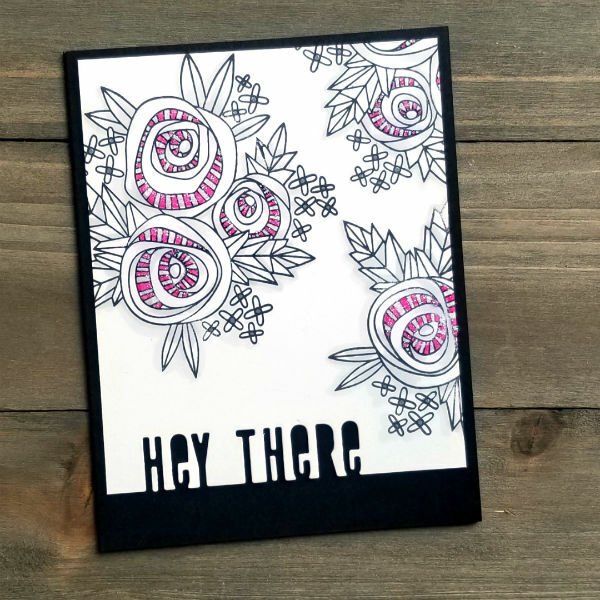 I stamped and white heat embossed the sentiment onto a strip of black card stock and attached it to the top lattice piece. I then attached the lattice layer over top of the stamped and sponged layer. Added some black and white twine to finish off my card. 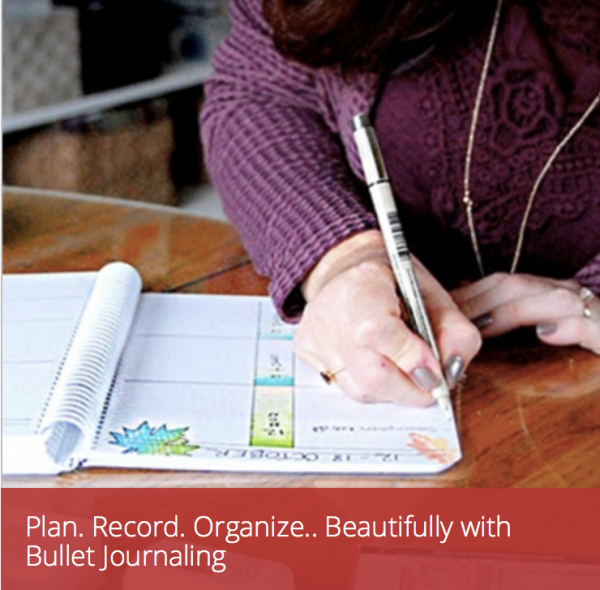 Since we launched the Canvo Bullet Journal product line in November, we have been happily creating, planning and organizing. Have you jumped on this train yet? I love that I have Flexibility! 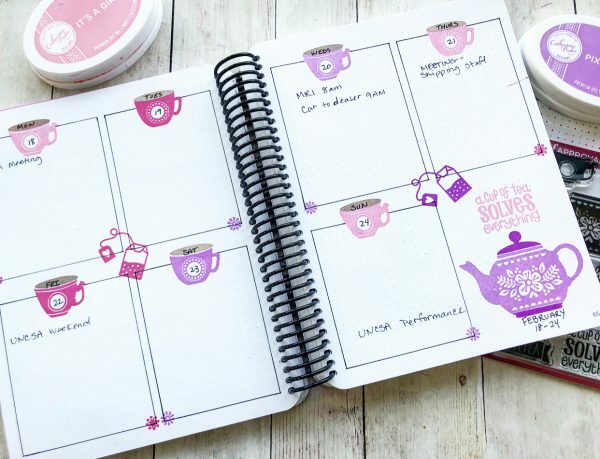 I only create a couple pages at a time so that I have room for extra long To Do List weeks, notes, trackers, etc. in between my monthly and weekly spreads. 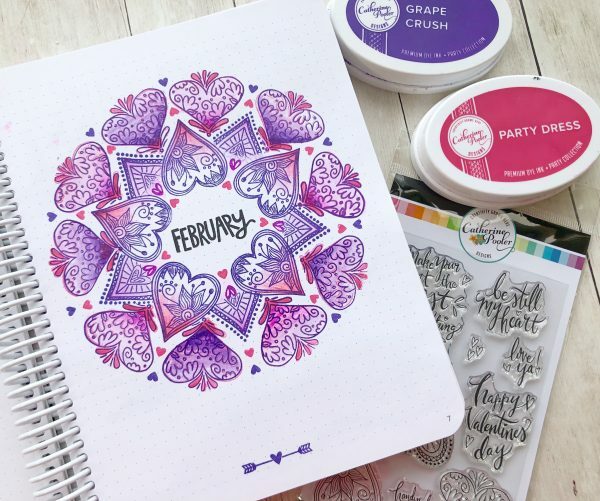 I can pull out our monthly themed Club Canvo sets and make super fun spreads, or I can reach into my stamp stash and use pretty much any of my stamp sets to decorate my pages with! 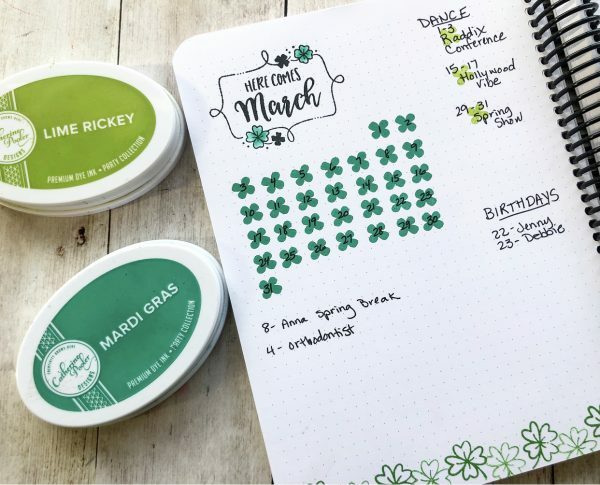 Check out some of these spreads (made by ME and some made by some of our creative friends!). 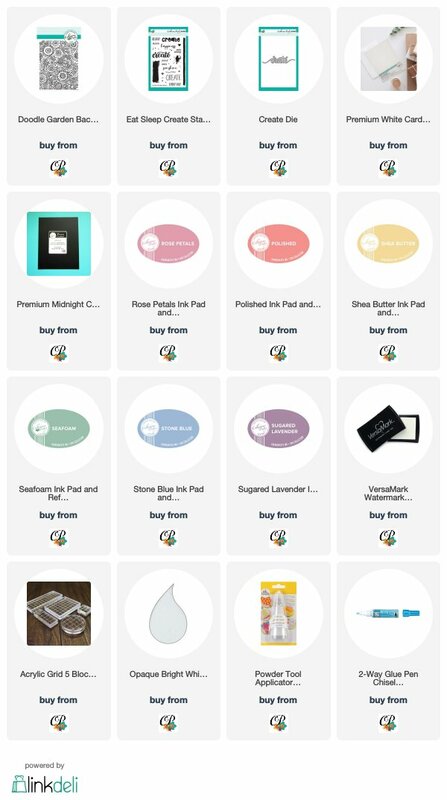 Find all of our Canvo products in one spot in our shop. 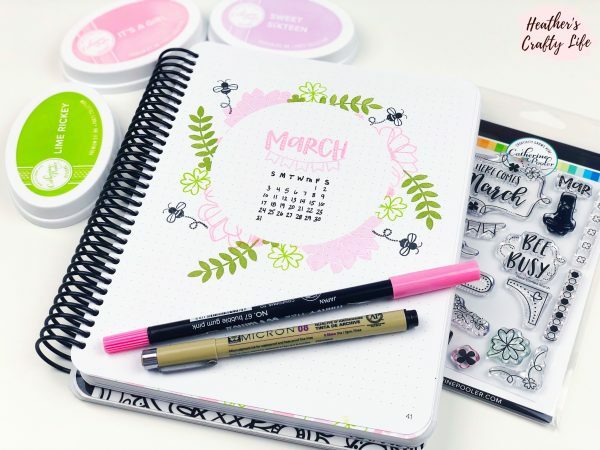 Don't miss out on the next round of Club Canvo– registration for the April products closes on Thursday, February 28. 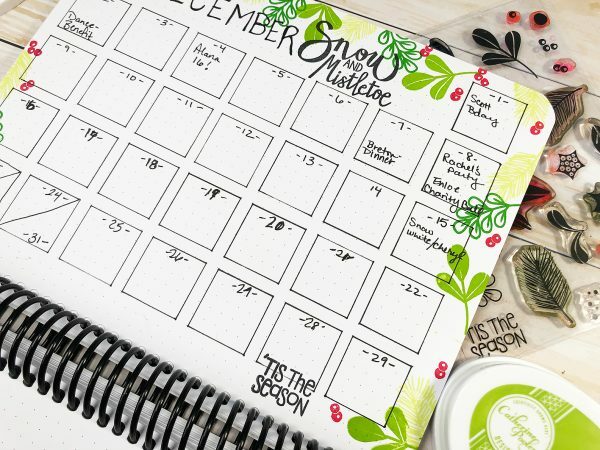 Create beautiful, convenient, and efficient spreads on the blank, bright pages of the Canvo. 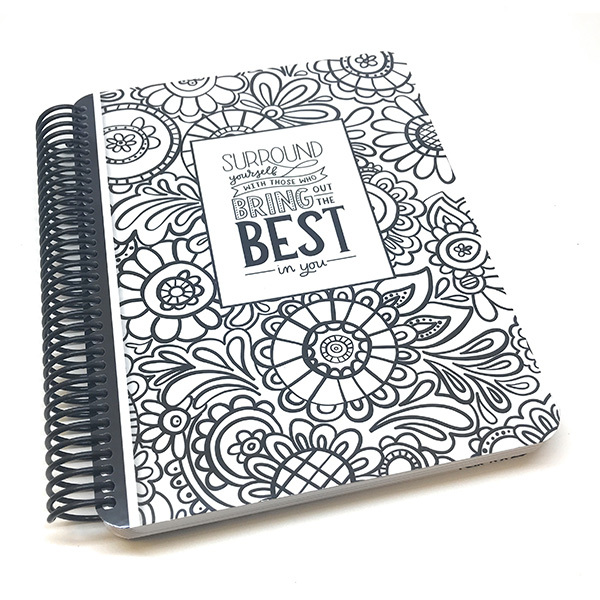 ✰ Spiral Binding means your Canvo lays flat and can be turned back for ease of creating and planning. 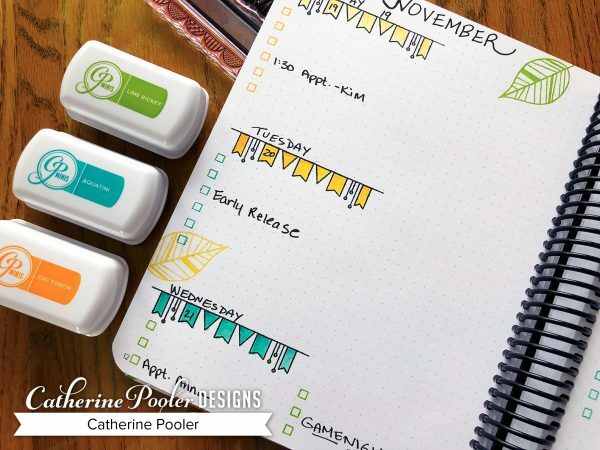 ✰ Pre-numbered Pages makes indexing easy and helps you stay organized Wide pages give you more room to get creative with your spreads and add enough content for your busy schedule. 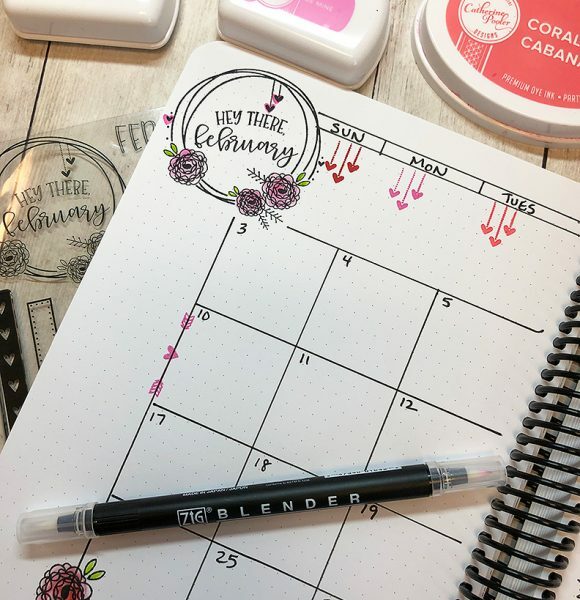 You are going to love our journal! In or around Atlanta in April? Join us at the Pinners Conference! Meet us at our booth, take our class and peruse our products in person. Use the code POOLER to save $$$ on your registration! Hope to see you there. Lucky ME! 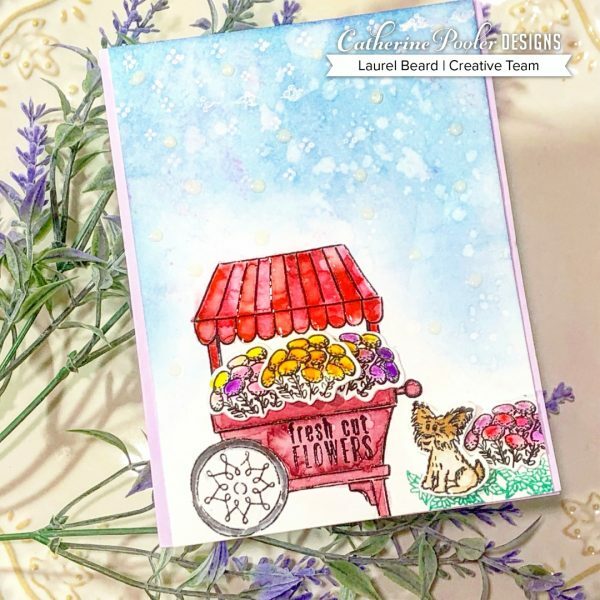 Ardyth sent this gorgeous card that she made to the Clubhouse…she used the new Cottage Corsage Stamp Set and I'm a bit obsessed with how she colored in the flowers. Just a bit of color, accented with glitter and highlighted with grey. I got to work on my own version! Check out this Youtube Live Stream. I used a Blender Pen to color the flower with Flirty Fuchsia, then dabbed on some Glue Gloss and sprayed on some Glass Slipper Glitter. 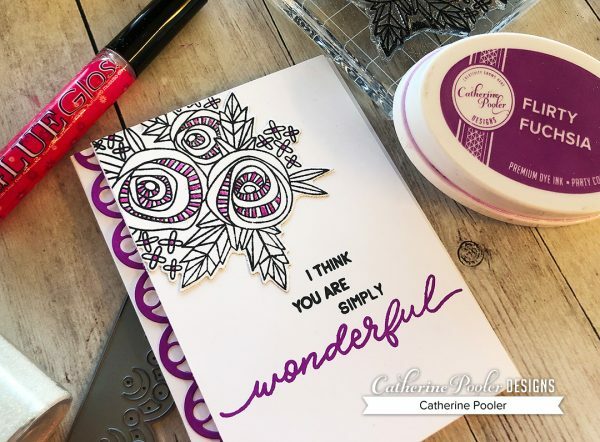 The sentiment is from the Awesome and Wonderful Stamp Set, how much do you love the font on “wonderful”?? 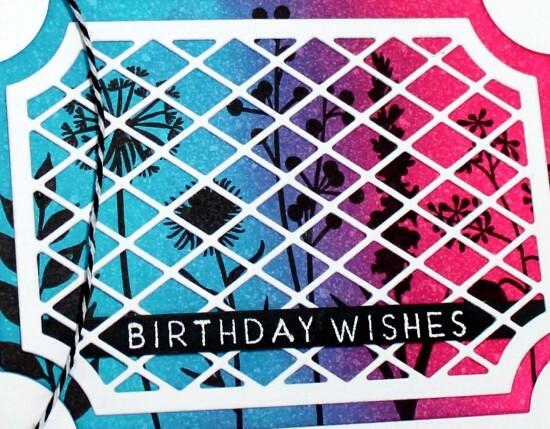 I gently ran my ink pad across a scrap piece of cardstock and die cut it with the Blowing Bubbles Border Die for an accent on the side of the card. 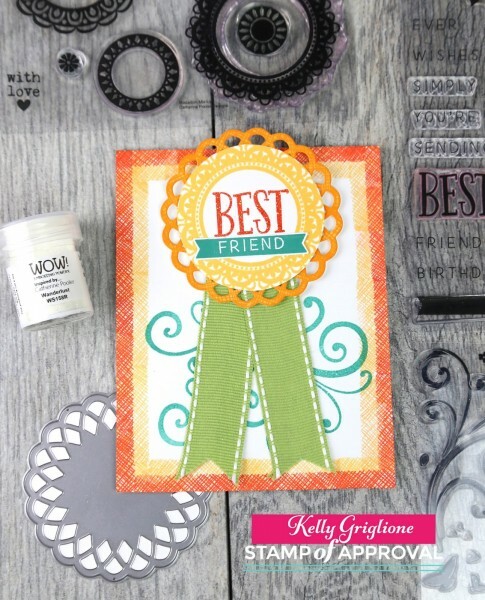 The Creative Team made some amazing cards with this stamp set…check it out! 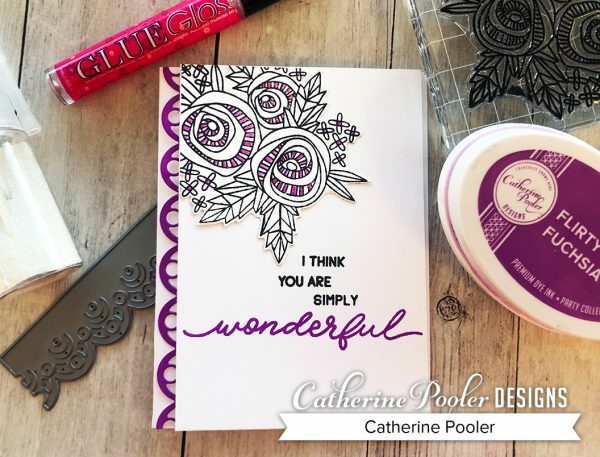 Love this watercolor look with the foiled “wonderful” by Chrissie Tobas! 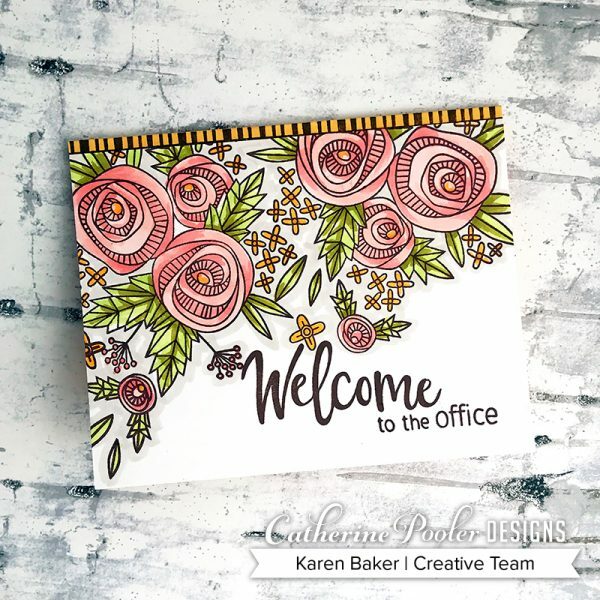 Karen Baker stamped the Cottage Corsage stamp twice and paired it with the sentiments from the Warm Welcome stamp set. 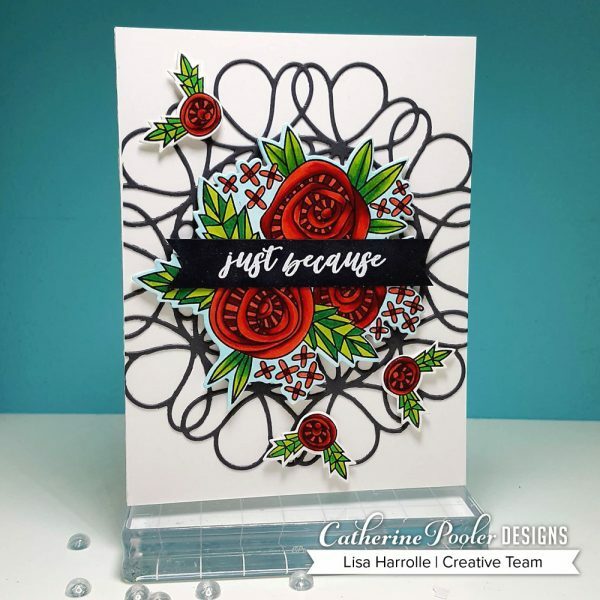 Lisa Harrolle created a stunner with gorgeous coloring and added a backdrop with the Interlocked Die. Hope you enjoyed the tutorial and are inspired by the cards here! 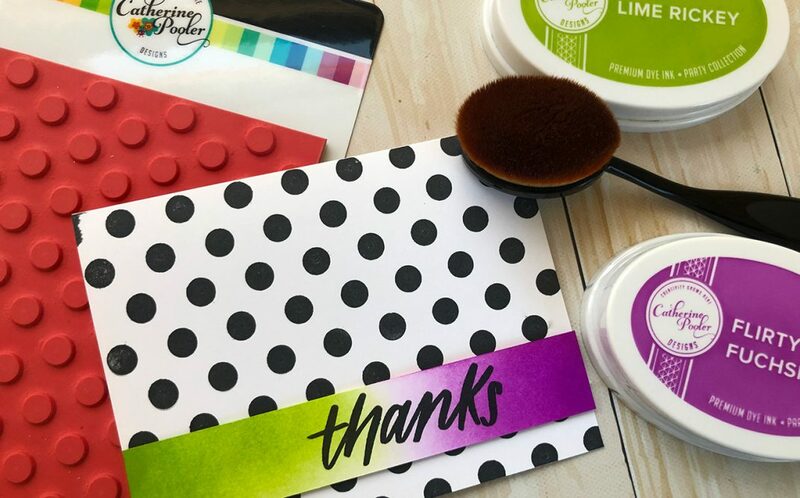 Hello, Karen from The Bald Dragonfly here, with an ombre awesome card for you featuring a mix from the All that Jazz Release and the Counting Blessing Stamp of Approval Collection. I started by trimming a piece of Sand Dunes cardstock to 4 1/4 x 11 inches, scored at 5 1/2 and folded it in half, then stamped Doin' the Polka Background with Midnight Ink on the card front. I set this aside and started to created the other elements. I die cut from Ultra Smooth White Cardstock the awesome word from the Awesome Die and inked with the following inks: It's A Boy, All that Jazz and Daydream, which create a perfect ombre! I adhered this to a white cardstock strip that was bordered with two thin strips of the ultra cool Black Tie Gala Patterned Paper. This panel then was adhered to the card front. To finish the card and add a little extra touch, I die cut the tiny stars from the Tags, Etc. Die set and covered them with the three blue inks as well. I adhered these cute little stars to the card front and there you have it, a clean and simple, yet super fun card! Hello Folks! 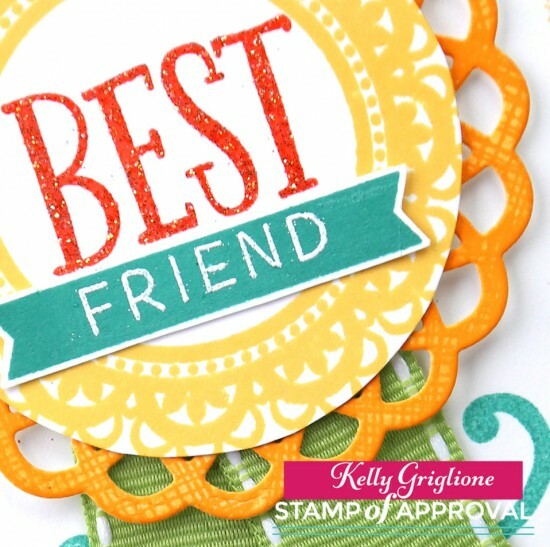 I'm happy to share a card that uses a ton of items in the amazing Naturally Inspired Stamp of Approval Collection. you, thinking of you, or just because. certainly use a punch or die). In the middle I stamped “best” from Simply the Best and quickly put the super sparkly Wanderlust embossing powder on top to emboss with. Love this! 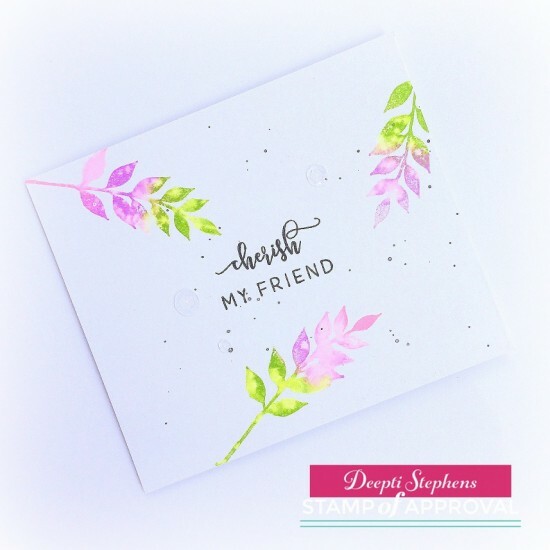 I layered “friend” over the banner stamp and cut that out. Since the bright colors of the award and border made the remaining white space on the card base look a little stark, I stamped the fancy swirl from Birds of a Feather for a background to the award. That seemed to fill up the space just enough. On the edges of the card I stamped that useful cross-hatchy stamp first in Tiara all the way around the card. Then I inked it in Tutti Frutti but used much less of the stamp to create the layered border. I really love how this card has so many different elements from the collection. Just goes to show they all work together so well! Umm, maybe that's why Catherine put them all together in a COLLECTION. !!! She is a smart one. Hello! It's Jen Carter here today from Jen's Ink Spot. 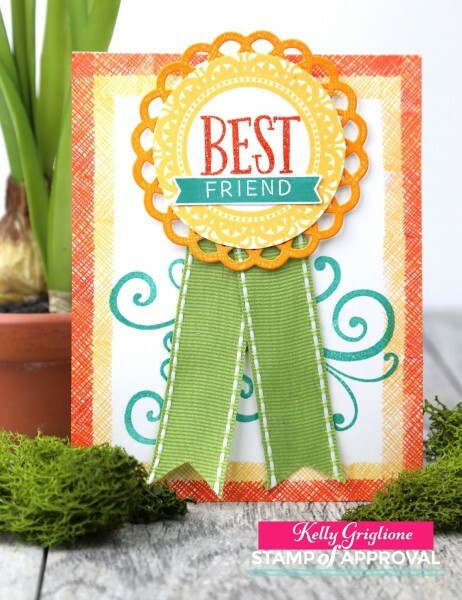 Today I want to share with you a clean & simple card using products from the Zen Garden Collection of products. To start I used a white card base and blended a circle of Shea Butter ink using a foam blender. I blended it so that the darkest yellow is in the middle and it fades out lighter as it goes. I then die cut a piece of white cardstock with the Stained Glass Cover Plate and cut out the very inside circle with sharp scissors. If you look closely at the cover plate you can see how there's a large circle in the middle. I cut on the inside of the circle. I adhered that piece over the top of the yellow blended circle. 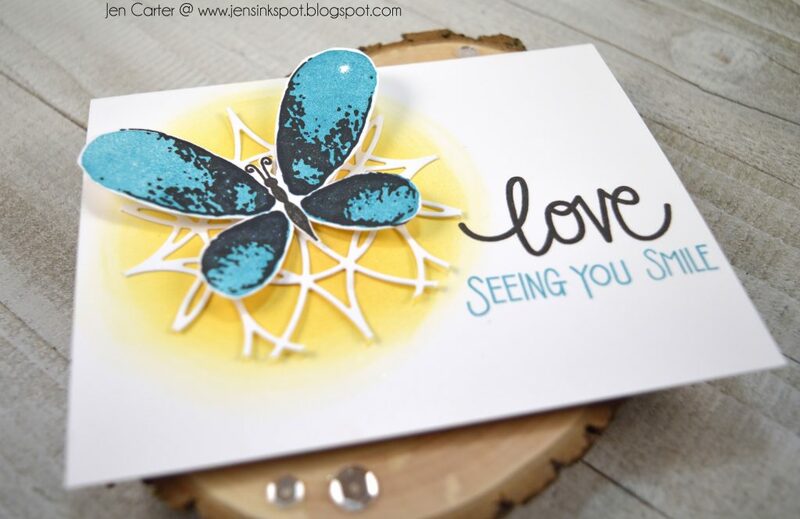 I stamped the largest solid butterfly in the Faithful Flutterings stamp set with Daydream ink and then stamped the second layering stamp image over the top of it with Midnight ink. The body is also stamped with Midnight ink. I cut the butterfly out with scissors and adhered it to the top of the doily-like cutout with dimensional tape. 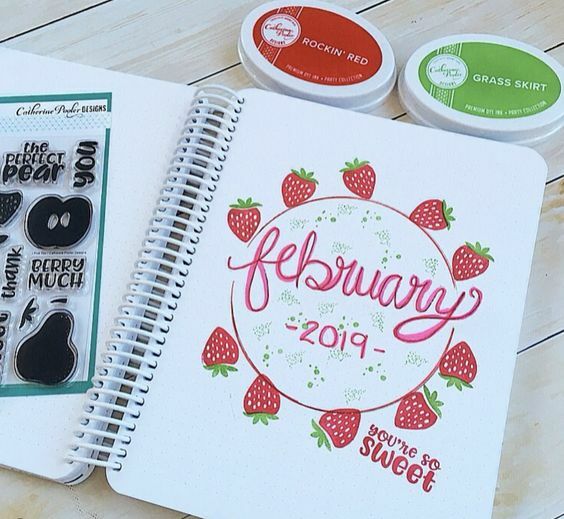 I stamped the sentiment from the Love Grows stamp set with Midnight and Daydream ink. Thank you for taking time to stop by today! Have a wonderful day! This amazing flower cart. It’s more than meets the eye- create a whole scene like some of our Creative Team Members did, or use pieces of it for a more clean and simple look like I did on YouTube Live today! Here are some from the CT to feast your eyes on! I die cut the flowers first, then stamped the images on the die cuts. (You certainly can do it the other way around!) Then colored in the flowers with ink pads and a blender pen. I gave a light wash of color first, then “stippled” by gently bouncing my blender pen on the images, from the same pads. The stippled effect gave depth and dimension to the flowers. 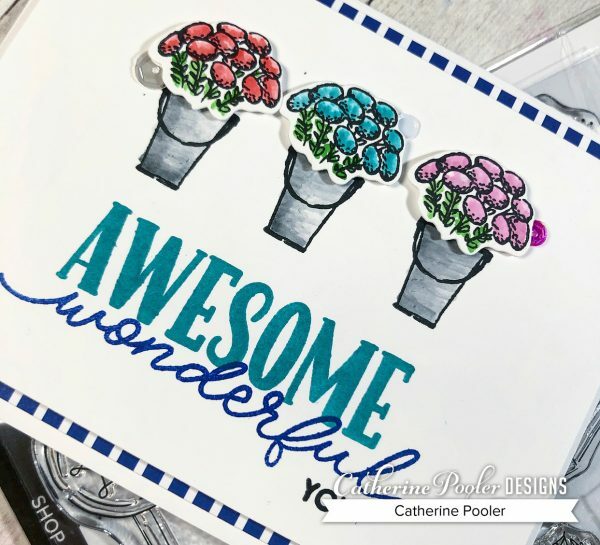 Stamp a few pails, add the mum bouquets with dimensional adhesive to make them pop off the page and stamp the greeting under for a great focal point. 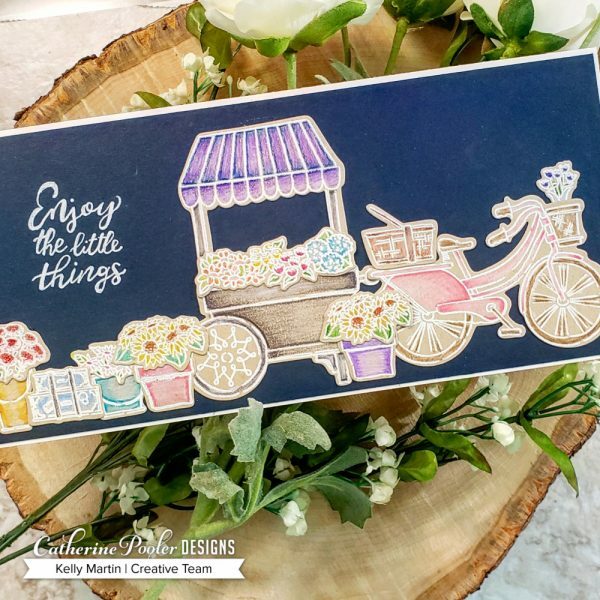 I cut the main stamped piece down to 5-1/2 x 3-3/4, added the Suede Shoes striped paper from Cake and Confetti behind it (cut to 5-1/2 x 4) and layered that on my card base. 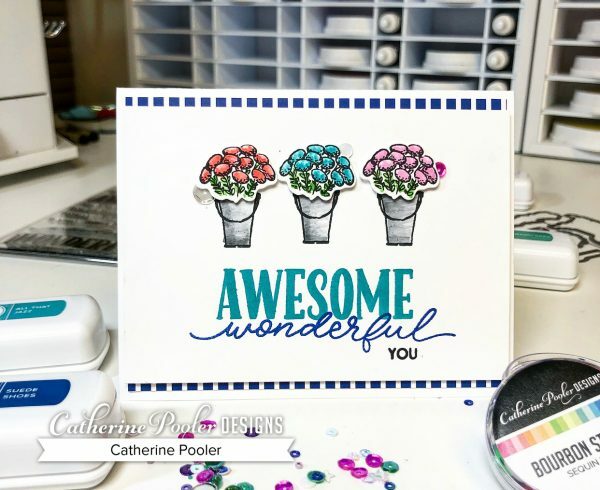 Whether you create an entire scene from the Fresh Cut Flowers stamp set, or use a few simple pieces to make a simple(r) card, you have a winner! Sending Out Creative Team LOVE!!! 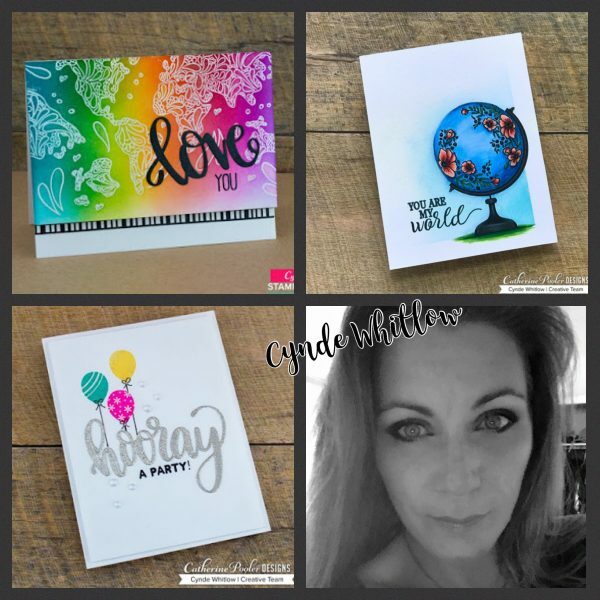 Today's post is filled with mixed emotion. 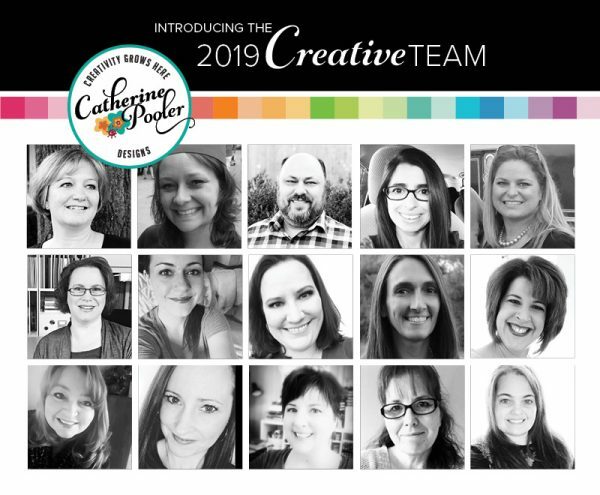 We are joyful and excited in announcing the latest and greatest Catherine Pooler Designs Creative Team Members. We have a wonderful tribe of super talented folks and are adding a couple of new stars to the bunch! With the new season of greatness from these folks, we sadly are saying goodbye (for now) to a few of our team: Ashlea Cornell, Kelly Martin & Cynde Whitlow. Don't worry though, these fab ladies will still be guesting and popping in at various times. We won't let them go far, talented bunch that they are! We are looking forward to a wonderful and creative 2019 with these amazing designers! Congrats to the following folks who were chosen as winners from our Welcome Home Release Hops! 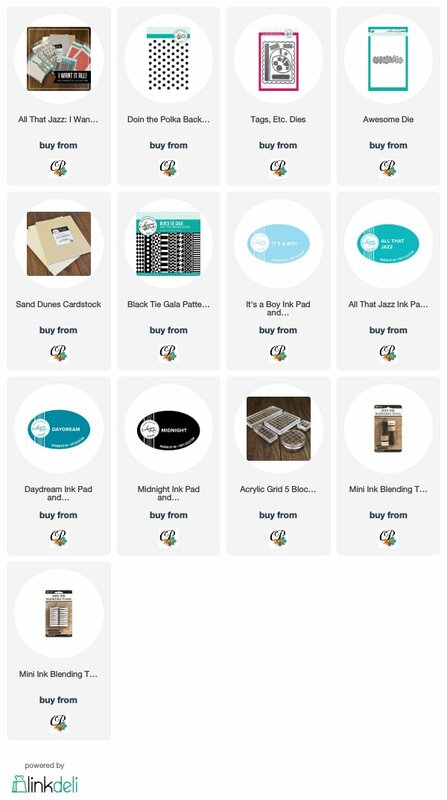 Contact [email protected] to claim your $25 Gift Certificates for our shop. 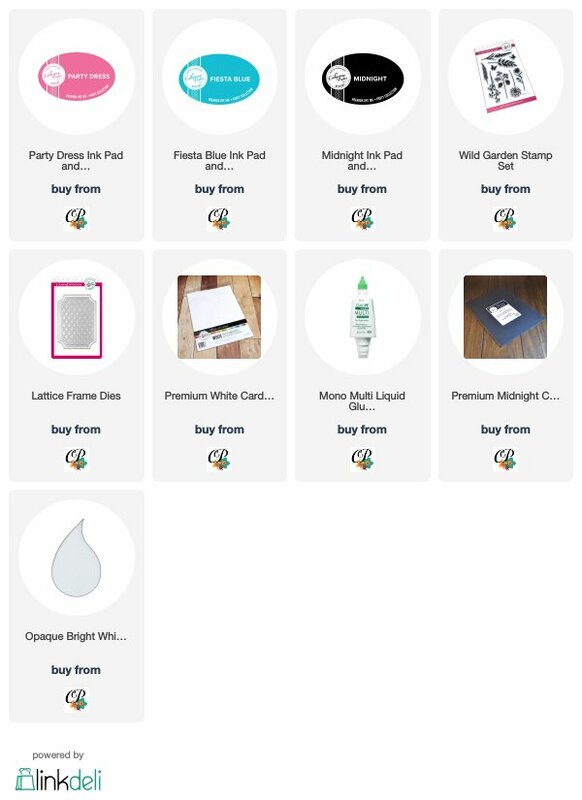 Enjoy your new goodies and thanks to everyone for your participation! !